This ham loaf is a great way to use that leftover ham, and it would be delicious with baked sweet potatoes. The loaf is prepared in a loaf pan with oats and it is flavored with parsley, onions, and mustard. A tangy brown sugar and vinegar sauce is added just before the ham loaf goes into the oven. Serve this ham loaf with mashed potatoes and steamed vegetables or a salad. Combine ground ham, mustard, chopped onion, parsley, oats, milk, and egg; mix well to blend. Form into a loaf in the prepared loaf pan. Combine the brown sugar and vinegar in a small saucepan. Place the saucepan over medium heat and cook until the sugar has dissolved. Pour the brown sugar mixture over ham loaf. Bake the ham loaf in the preheated oven for 60 minutes. If desired, garnish with tomato slices, spinach leaves, and hard-cooked egg slices. For the ground smoked ham, you can grind leftover ham or ham steaks in a meat grinder using a coarse setting, or put it in the food processor and pulse until it's minced into pieces similar to ground beef. 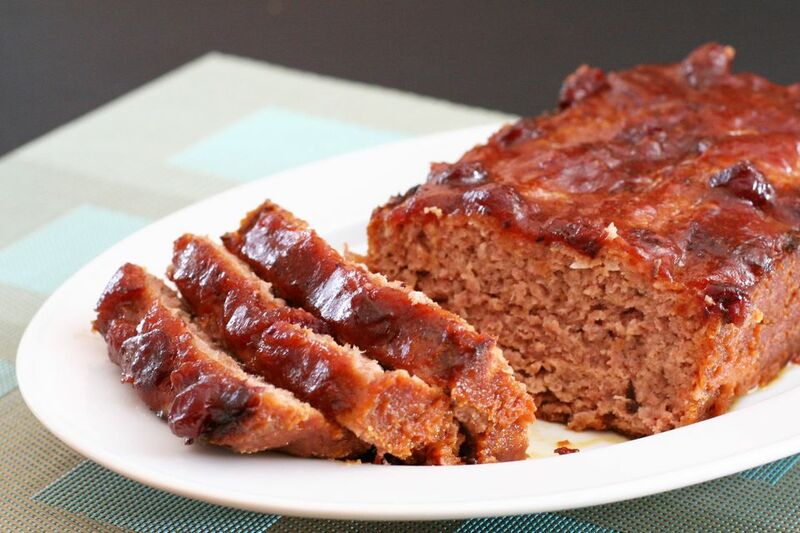 Use Dijon mustard or a gourmet mustard in the ham loaf.